The Eden Project – Giant Biomes in Cornwall, England Home to Over 1 Million Plants! 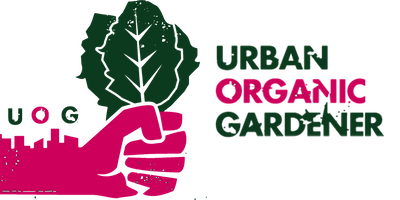 Super Creative Organic Urban Gardens Around the World: Who Needs Biotech? Why Cant All Supermarkets Grow Food On The Roof Like This One Did? One of the biggest news stories over the past week has been the USDA’s announcement that it’s going to be deregulating Monsanto’s genetically engineered alfalfa. There has been a lot of confusion circulating around this news. This confusion started with Organic Consumers Association report that the “Organic Elite” of Whole Foods, Stonyfield Farms and Organic Valley decided to surrender the fight. They decided to give up and select what amounts to the lesser of the presented evils. I’m always for listening to all sides of the story. Initially I jumped to the conclusion that these companies caved and surrendered. After reading through lots of posts in the past week and the PR statements issued by all of the parties, I still hold that same opinion. First off, it’s nearly impossible to read the entire PR statements issued and understand what they are saying and the point. That’s the first problem. They are company issued and crafted PR statements. They are not true and genuine statements. At least they don’t seem that way to me. In December, to no one’s surprise, the USDA took a complete ban of GE alfalfa off the table as an option, leaving only two choices: complete deregulation or deregulation with some safeguards to protect organic farmers, which they called “co-existence.” The choice we were faced with was to walk away and wait for the legal battle in the courts or stay at the table and fight for safeguards that would attempt to protect organic farmers and consumer choice, still maintaining the option for legal battle later. However, as of December, they had left only two options on the table: allowing unrestricted commercial growing, or partly restricted growing. As much as we wished a complete ban could still on the table, it wasn’t, and we knew we needed to throw our whole weight behind advocating for certain rules, so that farmers would have legal recourse in the face of contamination, and contamination could be avoided by mandating sizable buffer zones and geographical planting restrictions. Read Organic Valley’s full statement. We didn’t have any options. We didn’t want to fight anymore. We caved and chose the lesser of the evils presented. What happened to standing up for what you believe in and fighting? At this point, I don’t think you can continue the fight. They know that if they stand still long enough that you will cave. So they will wait you out, and you’ll cave again. Thank you “Organic Elite” of Whole Foods, Stonyfield Farms and Organic Valley for opening up my eyes to what you truly are and stand for – just another corporation making a dollar. I can say that I will no longer be supporting any of your brands anymore. This is just another reason why you should start to grow your own food. We don’t need these corporations controlling our food and making decisions for us. Go to your local farmers market and support your local farmers. Get to know them and ask them questions about their farming practices. Join your local food co-op or CSA. The power is truly in your hands to make a difference. Beth Buczynski did a good write up on the Care2 blog about this situation called 3 Major Organic Brands Surrender To Monsanto’s GE Alfalfa. She received some heat and copy and pasted corporate response from some of the companies involved, and I’m sure that I will as well. When David from The Good Human asked the Organic Elite to outright deny the Organic Consumers Association piece, they wouldn’t. They just responded with their cut and past PR statement. Sad. In the ideal world, I hope that I’m wrong and that they did fully stand-up against Monsanto and GE alfalfa. Maybe I am misinterpreting what has gone down. I’m just stating my opinion as to how I see the situation. I vote with my dollar and will not be supporting these brands. What are your thoughts on this whole scenario?